The Thanh Ha Pottery Village is located by the Thu Bon river, Cam Ha ward in the Quang Nam Province, 3 Km to the West of the ancient quarter. 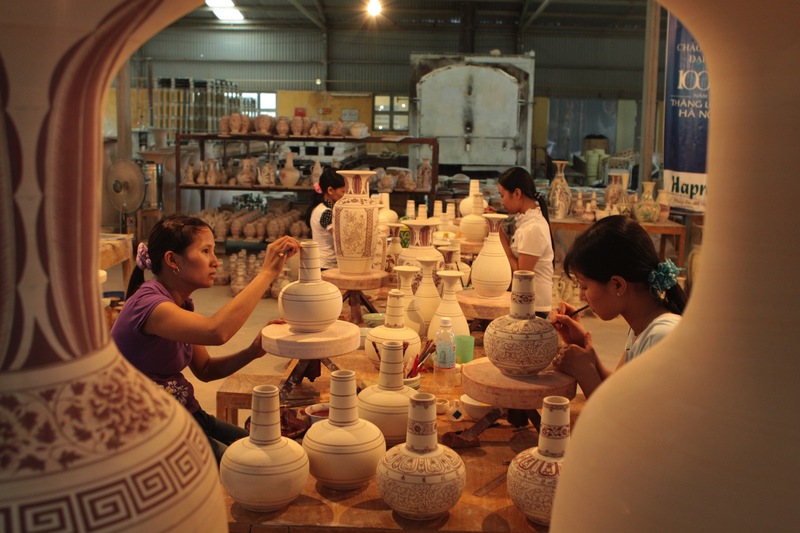 The Thanh Ha Pottery Village in Hoi An is a famous example in this type of establishment that aims at furthering tradition as well as employment. The pottery village has a long historical legacy and it used to play an important role in the development of Hoi An ancient town. The village originated in Thanh Hoa province and it formed at the end of the 15th century, developing vigorously in the later centuris, at the same time as the Hoi An port. The products made by the villagers mainly serve the daily lives of the native people in domestic markets. The pottery products include bowls, jars, pots, animal shapes, in multiforms and colors, and they are lighter than the same products in other places. Although they have experienced various challenges over time, economic difficulties and foreign competition, the local inhabitants are always trying to preserve a traditional profession, inherited from their ancestors. The techniques that they use are unique and very diferent from those prevalent in other provinces. 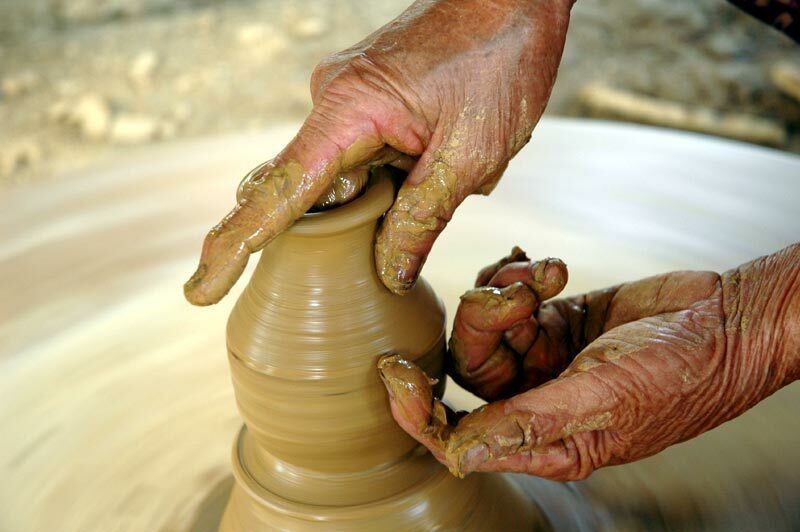 Therefore, the village is more of a live museum and it holds precious documentation resources for scientists who study about traditional pottery in Viet Nam and in South East Asia. Thanh Ha pottery products are made by very well-trained craftmens. They use special clay mixing, burning and baking techniques, and heat modulations to bring out different colors. Depending on the time of burning and the temperature of the kiln, the color can be changed from pink, pink yellow to red, light brown and ink-black. Thanks to the special technique of processing soil and the combination of successive manipulations, the durability of their products is ranked at the top as compared to others in the country, and the brightness is the same as enamel. A soft and clear sound with echo can be heard by knocking on the product. Some products are offered on request or used for planting orchids; they are decorated with the sink and float vignettes that are simple but very nice. Thanh Ha Pottery craftsmen have been invited by the Court of Nguyen Dynasty in Hue to create special products for various activities of the imperial palace. The same as Kim Bong wood craftsmen, they were placed at the eighth or nineth grade of the mandarin system. In the recent decades, Thanh Ha pottery has been sold throughout the country and sometimes abroad (Canada, America, France). It is also the most trusted name for contractors engaged in tasks of renovation. Tourists visiting this wonderful village will take pleasure in collecting souvenirs they have seen the skillful craftsmen make before their own eyes.